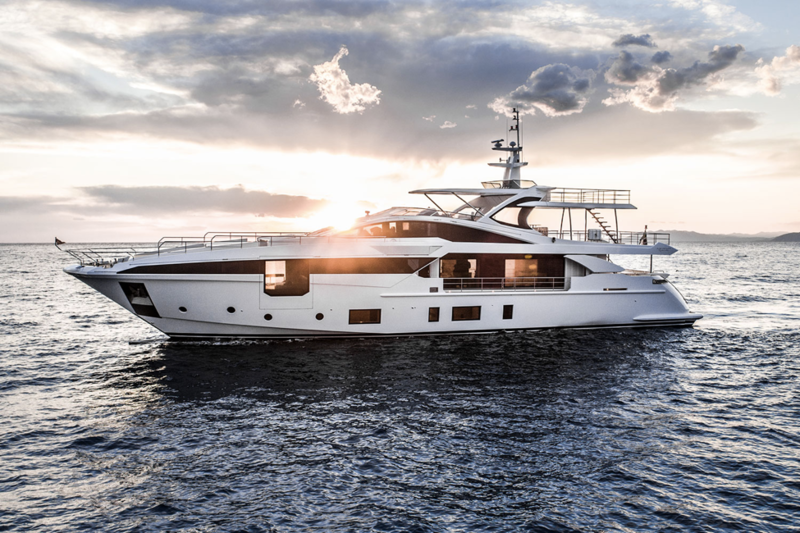 Present at both Cannes and Monaco, the Azimut 35 Metri is the newest yacht of the Azimut Grande line. Able to cruise 1,500 miles at 10 knots, the Azimut 35 Metri has impressive capabilities. Floor to ceiling tinted windows create an edgy feel while the angled exterior gives a sleek look to the 115-footer yacht. Characteristics such as a three floor spiral staircase, private terrace, and optional 325 square foot deck are more common for a gigayacht than a yacht of this size, making the Azimut 35 Metri unique in its class. 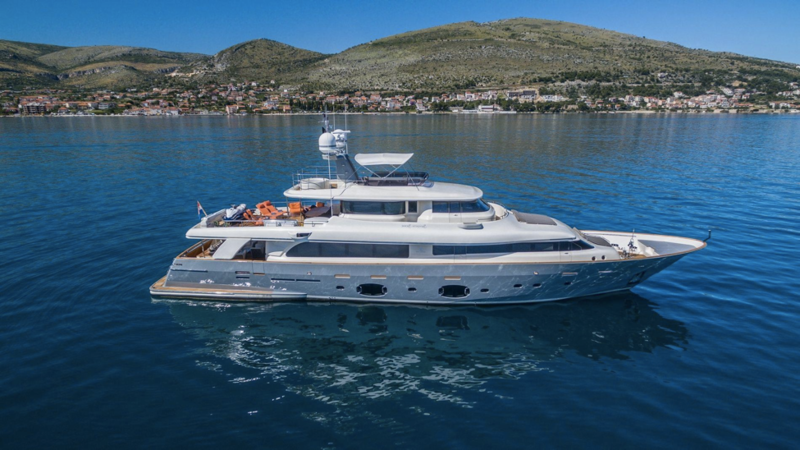 Custom Line’s four-deck Navetta 33 boasts all the amenities of a modern superyacht including two saloons, lounges, wet bars, sunbeds, and a swimming pool. 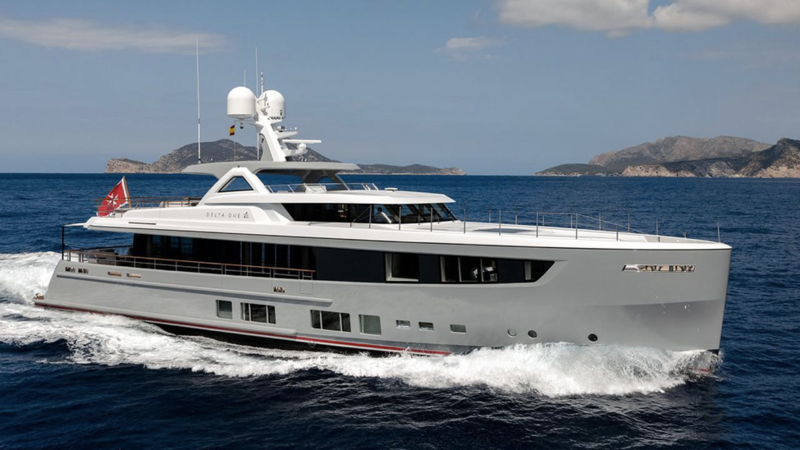 The 108-footer’s interior has Italian style with black-walnut wall paneling and modern artwork. Large dining and social areas allow abundant space while the lavish master suite includes a walk in closet, vanity, and desk. Resembling a ship, the Mulder Delta One yacht is an all-aluminum 118-footer with transatlantic range and the capability of battling 13-foot-high waves and high winds. It was designed to withstand tough conditions and long distances. Despite its hefty appearance, this yacht can reach a top end of 16.8 knots with a 15-knot cruising speed. It comes equipped with an eight-person Jacuzzi, wet bar, dining table, sun beds, and lounges. 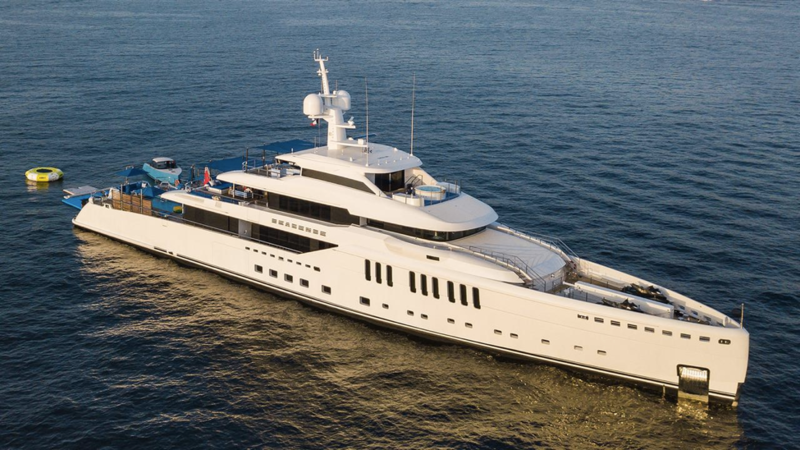 At 279-feet long, Lürssen’s Areti was a show stopper at this year’s Monaco Yacht Show. On board, guests will find a full-service spa including a sauna, hot tub, pool, meditation area, and even a shower with multi-temperature water jets, therapy lights, and aromatherapy scents. The yacht has eight guest staterooms and a full-beam master suite. Acknowledged as one of the best of the best at Monaco this year, Benetti’s Seasense is a 220-foot custom superyacht with unique features. A 32 by 14-foot swimming pool can be converted into a basketball court while the veranda can switch from indoor to outdoor. Inside, floor to ceiling windows and sliding doors surround a 12-person dining table and provide a 360-degree view of the ocean. Other features include a gym, an American bar, and a wood-burning pizza oven. Throughout the yacht, blue hues create a sea themed interior. Although these are just some of the yachts featured in Monaco and Cannes this year, many more were on display showcasing their elegance and impressive features. To see more of this year’s yachts on display, click below.